Just a few miles from the hustle and bustle of Freeport you’ll find a quiet farm tucked amongst South Durham’s rolling hills. With little more than a small sign that says “Graze” you would hardly know what lies beyond the long tree lined drive. 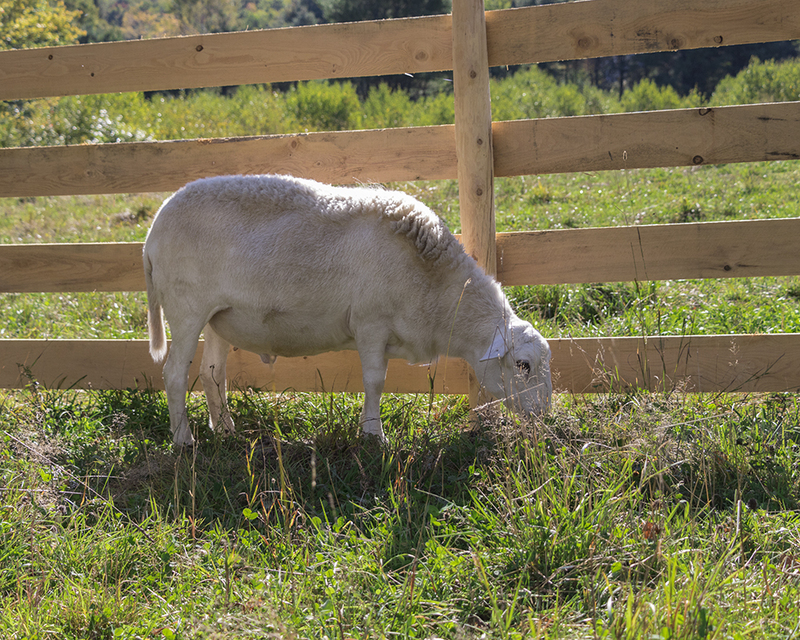 Here at 591 Pinkham Brook Rd is Graze in Peace, a rescue and sanctuary for farm animals who have been surrendered when their owners are no longer able or want to provide suitable care for them. Carl and Deb Schwink bought the farm about 5 years ago. 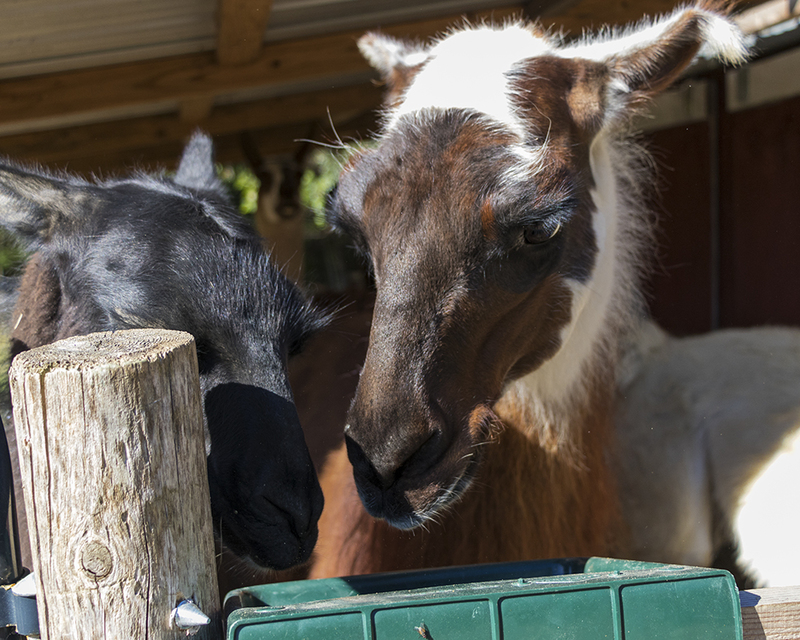 With the help of volunteers, they have transformed what was a single family home into a Farm Animal Rescue and Learning Center. Including the owner’s cats and dogs there are about 30 animals enjoying a peaceful life at Graze in Peace. A flock of sheep, 3 pigs, a pack of llamas, and chickens keep the Schwink’s busy year round. Coal, a sheep, is the resident greeter. More content to mingle with humans than his own kind, he happily greets you more like a lovable lab and freely roams the property. He loves being pet and scratched and fed. The newest resident is Strawberry the pig. Strawberry is reported to have been won at a pig scramble when he was just a piglet. The owners were ill equipped to care for a pig, especially when he grew to over 400lbs. Graze in Peace was able to raise funds for a small enclosure to provide immediate relief for Strawberry and bring him to the farm. Having never lived outside of a garage, he now gleefully roams and basks in his new home. 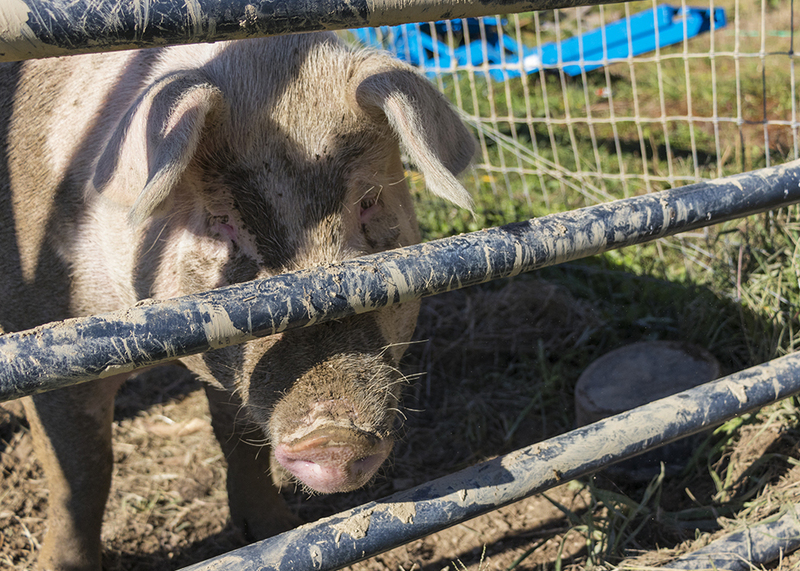 Like any pig, he enjoys a roll in the mud and a nap in the shade on a glorious fall day. Currently they are seeking donations so they can purchase a more suitable sized shelter for him as he will quickly outgrow his temporary digs. The farm is only open to the public on specific days or for special events. Graze in Peace is not a petting zoo. While a few of the residents enjoy the company of people, some of the others need their privacy and can be viewed from afar. Graze in Peace welcomes community volunteers. Individuals, companies or small groups of adults or students (12 and over) are welcome to assist with a variety of tasks from fence building to feeding and more. To find out about volunteer opportunities contact Deb at debjoy@grazeinpeace.com. On the day of my visit close to 20 women from Derby Skate Club were there to help build a fence and set up for the first annual Oktoberfest Fall Fundraiser being held this Saturday, October 7th from 3pm-7pm. The public is invited to attend this family-friendly event at the farm. Tickets are just $10.00 for adults. Seniors are $5.00. Kids 12 and under are free. All the proceeds will go to the care of the animals and the maintenance of the farm. They’ll have live music, food, beer, games, farm tours and a silent auction. Please purchase tickets through their Facebook event page. It promises to be a great time for a worthy cause. For more information about the Schwinks and Graze in Peace go to www.grazeinpeace.com. King + Miller is interested in discovering what you love about your town. From people doing good works, little-known events, special places, and worthy causes, we’d love to tell your story. If you have a recommendation for a story to feature on our blog, please send an email to marketing@kingmillerrealestate.com.